Portable Storage: Ideal for sunscreen, hats, sunglasses, beach towels, flip flops, magazines, water bottles, and more; You can always find your cell phone, tablet, or favorite book quickly with the clear-view sides. 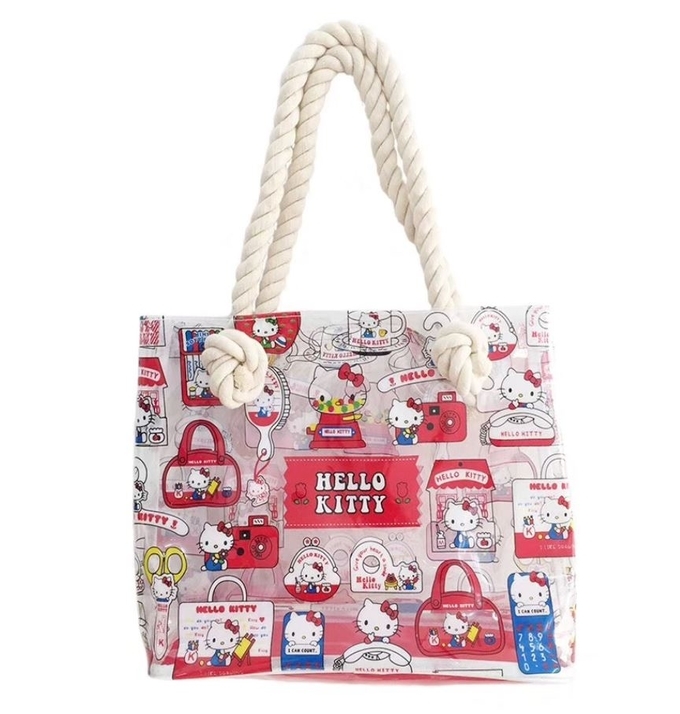 Versatile: Use as a makeup bag, toiletry bag, dopp kit, accessory organizer and more; This fashionable organizer isn't just for travel – take it to the gym, yoga class, dance class, beach or the grocery store; Kids love this for carrying toys to the beach, pool. 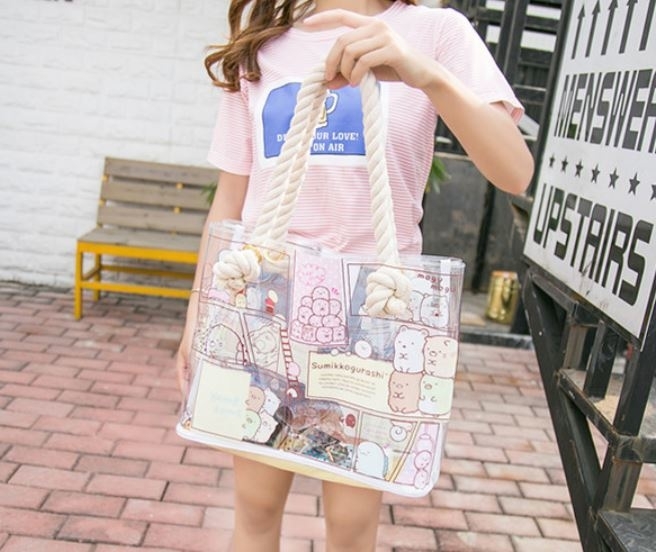 Easy organization: This fun tote bag fits comfortably over the shoulder for easy use; Keep items together and easy to find with the clear-view design; The durable, light weight material doesn't add extra bulk or weight and keeps items separated. Durable construction: Made of clear PVC with cotton ropes, Easily wipes clean with a damp cloth.